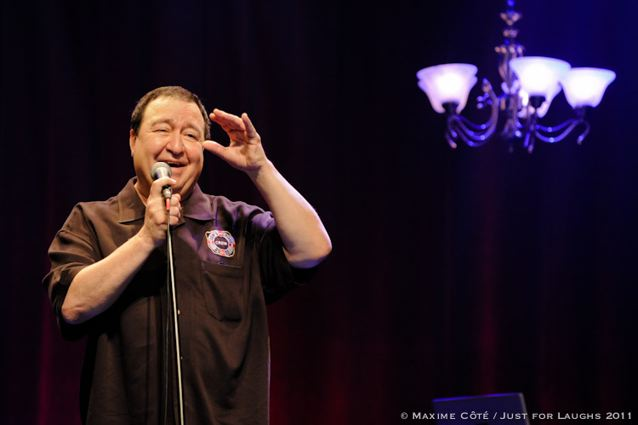 On and off stage Dom Irrera is a real likable character. With multiple stand up appearances from his break out performance on Rodney Dangerfield’s “Nothing Goes Right” to multiple appearances on the “The Tonight Show with Jay Leno”, “The Late Show With David Letterman”, two HBO One Night Stands, and voted Number 79 in “Comedy Central’s 100 Greatest Stand ups of All Time”, and a regular every year at the Just For Laughs Comedy Festival, Dom Irrera is a stand up force to reckoned with. Turn on the tv and you’ll see his face all over it, from films like “Hollywood Shuffle” and “The Big Lebowski” to roles in documentaries like “I Am Comic”, to “The Aristrocrats” to shows like “Seinfeld”, “Everybody Loves Raymond” to “King of Queens” to “Hey Arnold!” to “Bob’s Burgers” and many more. End of the day when all is said and done, Dom’s just a regular guy from Philly you’d share a pitcher beer with to help pass the time. We take some of that time and talk about the comedy business, his comic philosophy and what it takes to last so long in it. I turn on the tv and your on it, what do you contribute your longevity in the business?